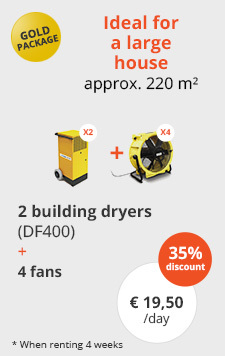 How does a building dryer work exactly? 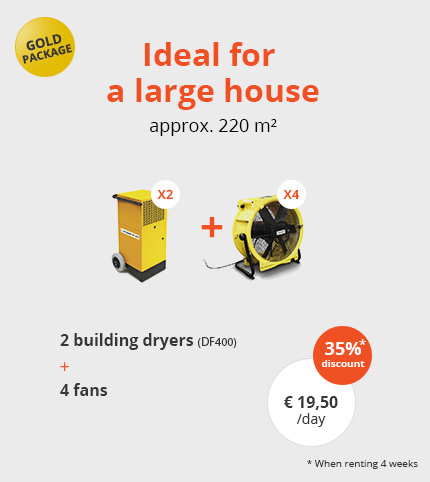 A building dryer: how does it work? Too much moisture can cause a lot problems in your home. These may result not only from leakage or water damage; a large amount of moisture also builds up in your home during the actual construction. A building dryer can then be used to extract the excess moisture and thus obtain the desired humidity level in your home. 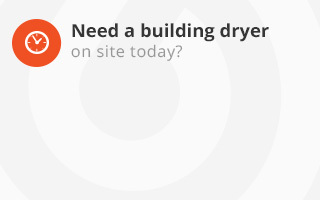 But how does such a building dryer work exactly? A building dryer or condensation dryer absorbs moisture from the air, allowing you to extract moisture from your floors and walls. 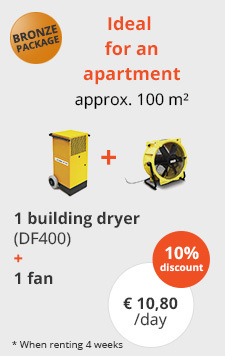 A building dryer is an air dehumidifier that operates according to the condensation principle. Its operation can simply be explained in four steps. First of all, the humid air is extracted from the space by means of a built-in fan and passed through the building dryer. Then the humid air is passed through an evaporator. These are iron sheets that are cooled. During this process, the moisture in the air will condensate on the iron sheets. 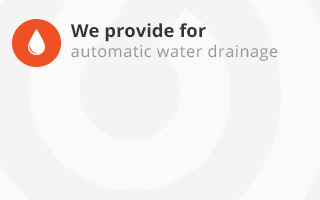 Subsequently, the condensate is collected and drained away via a reservoir. Last but not least, the dry air exits the building dryer. This procedure will cause the air temperature to rise by about 2 degrees. The result of such a building dryer? Warm, dry air! 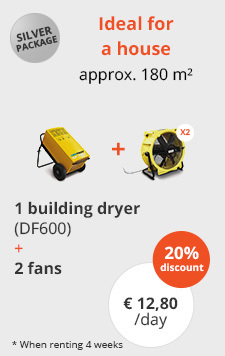 The drying time of your project will depend on the amount of moisture in your building and also on the indoor temperature. 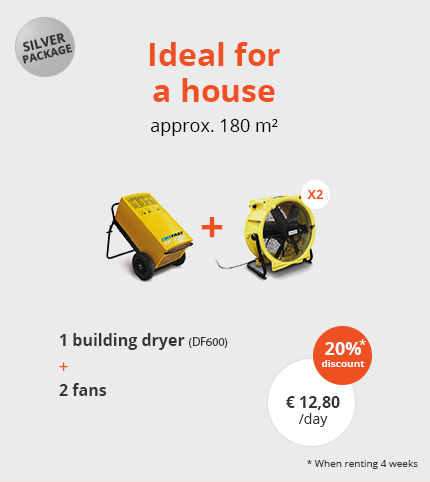 We will in any case provide you with the most efficient solution to get your project nice and dry again in a fast and safe manner. Do not be fooled into thinking that building dryers dry too quickly thereby causing cracks in the walls. Nothing could be further from the truth! 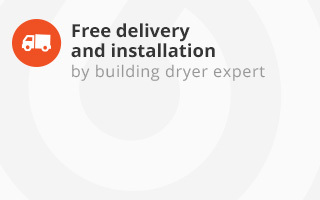 Building dryers follow a natural drying process, so they are anything but harmful to your home. A building dryer uses a drying process based on the condensation principle, making it a 100% safe method for dealing with moisture issues. 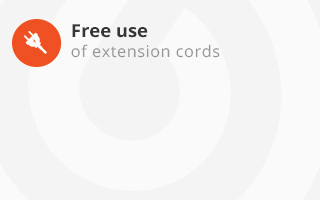 As a result, there is virtually no risk of cracking or tearing. 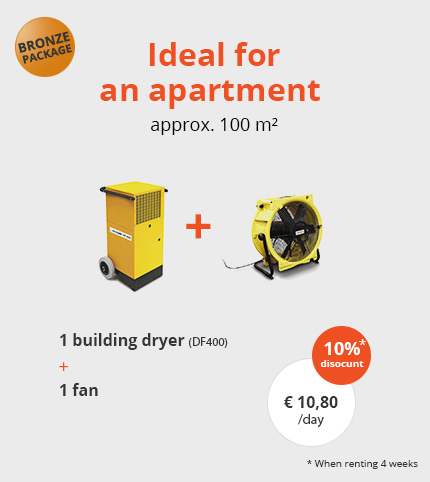 In brief, a building dryer lets you the create the same climate as on an beautiful summer day. Let your home dry its tears!